This is a winner with my children. 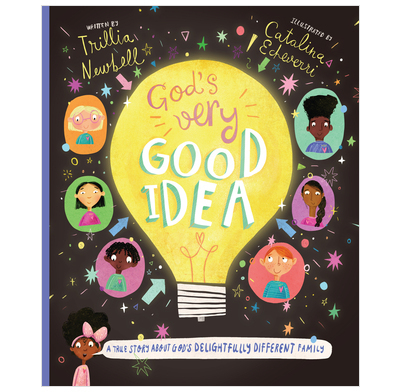 This book is stepping onto the less-trodden path to address an urgent topic, as it helps children see the care God took of creating each and every person different and wonderful. This book is not only a good idea to read as a family, it's a delightfully great way to be part of God's good idea! With vibrant illustrations that dance, and rich, wise words that point to the most beautiful Truths and Truth Himself, this is a book that could change our families, the church, this generation.